The magnetic separators type MMUA/W/D/P are employed for the removal of metal particles, e.g. nails, wire and screws. They are applied in the cleaning house or prior to milling in breweries, as well as in the processing of sugar. 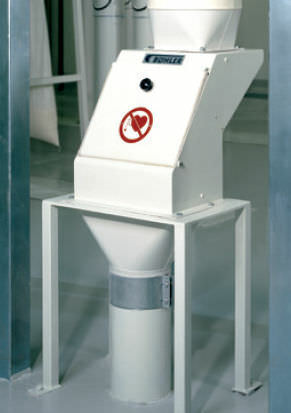 Magnetic separators are suited for flaky and powdery products such as bran and flour, as well as for granular materials.